— a Padawan of life, who’s constantly pondering… This is my life, my blog, my mind. Indeed. 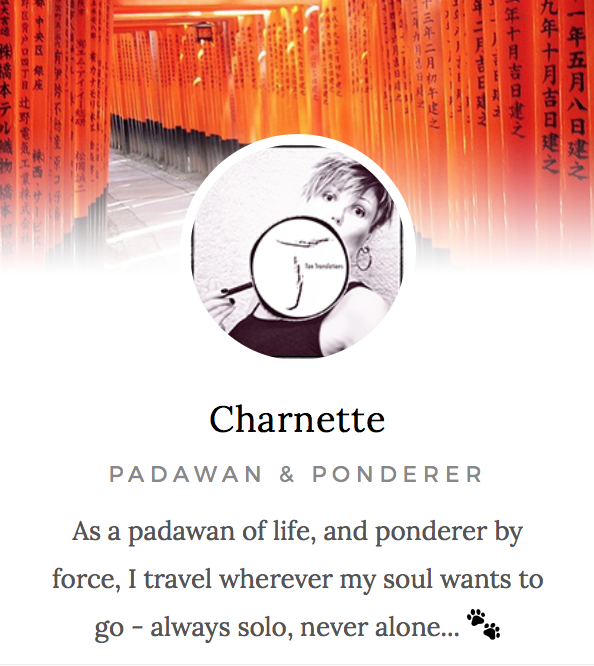 “Charnette – padawan & ponderer” (Swedish version) is my 3rd blog, started 2011, standing at the very infamous, mighty crossroads; moving to Thailand & my fiancé (at that time), which led me to wander the path of a huge career change (from unsettled sailor to unsettled freelancer), as well as an enormous change of life. I never wanted the traditional life with a husband and little mini-mes running around. Well, of course I wanted mini-mes, or so I thought. I just never wanted them with the routine that came with them, and I wanted them another day, another year. However, while trying out a few pretend husbands and playing house; staying at one place for far too long gave me nothing but pain, and I didn’t understand why. well, we actually weren’t meant to be together. While living in Kathmandu, I kind of started to realise I had a yearning for something else. My most precious times there wasn’t at home, or with the family, it was discovering new places – new experiences. However, my fiancé did not share this vision with me, so I needed to move on. Would Thailand work out better for me? In Thailand a few years later, in a similar situation, I once again found myself the most happiest when I travelled, which apparently was confusing as hell for my fiancé. After we’d spent all my money on things that didn’t matter a bit to me, I went back home, thought I might be back, but I never returned, and never regretted it either. This means, there’s no fiancé today, only a behind-the-scenes boyfriend who understands all my needs and constantly encourages me to experience wonders. Today this is extremely important for me, as history tends to show I’ve turned myself inside and out to be something I’m not, mostly when no one even demands it of me. I was on this charter trip to Side, Turkey, 2016, when I finally realised why I’ve been unhappy living abroad, which should’ve been my dream come through. I need to travel – I’m a seeker, a wanderer, someone for whom travel comes naturally, as naturally as breathing… Sometimes, though, it also feels like a compulsion. Today I’m home in Sweden, back working as a sailor on a regular basis, doing some freelance translating work on the side. Standing at yet another crossroads – I need to choose again: should I grow or should I confine myself and be safe? But no, this is not a travel blog, even though travel is a large part of my life. My blog is a lifestyle blog; I write about whatever, and whenever, but preferably about pain and travel, as well as sharing my photographs from everywhere and nowhere. Primarily I did want a travel blog, of course, specifically about Thailand (since it was going to be my new home), but it didn’t turn out that way. Now apparantly, I need a new niche, and I have no idea what, so until my blog finds its own path, it will continue to be the vastly wide open diary about my life, my travels and my experiences it always has been. If you wish to read more about one thing or another, let me know. A knowledge thirsty, somewhat nerdy globetrotter, who travels to breathe and breathes to travel. I know we are here to learn, so make sure you learn what you need to learn, and don’t just do what everybody else is doing. I suffer from all kinds of pain, but mostly from a whiplash injury and migraines! Something I recently decided to share on my blog. I despise narrow-minded people, arrogance, and ignorance. Worst combo ever! I adore animals more than anything in this universe and keeping them in my life in some way or another needs to be one of my missions. 2016 I was on an important mission in Zimbabwe, rescuing and helping unfortunate animals. It was truly one of the highlights of my life! What I do for relaxing? 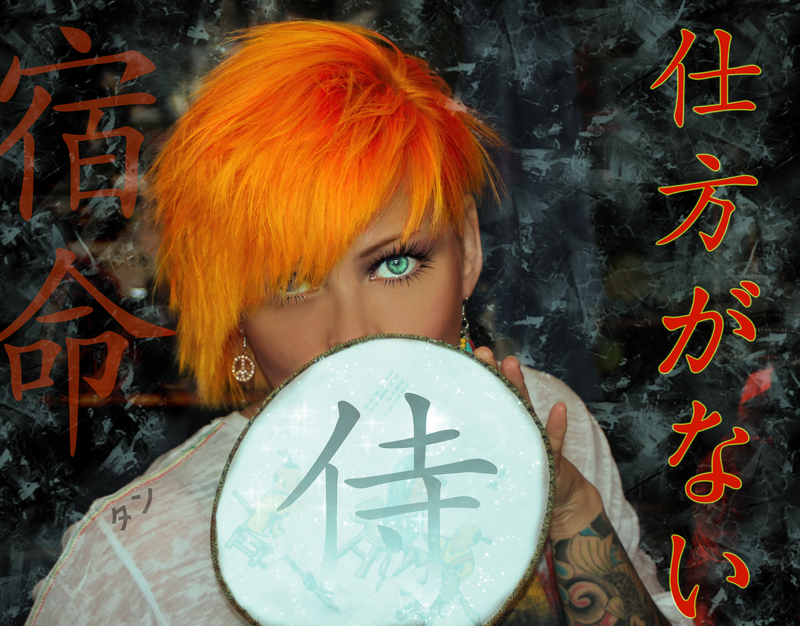 I love to write, needless to say, and photography as well as photo retouching/editing are other passions in my life. I show all my amateur photos here on my blog, but should the need befall upon you, you’ll also find me on Flickr , GuruShots and 500px, of course. My private instagram feed is full of marvellous meditative pictures of my beloved cats… ❤ Yeah, I know, a cliché but I simply love cats – in all sizes! Unfortunately I’ve lost almost all of them apart from Miso, the one survivor. Should you for some weird reason not love cats, I recommend you instead check out my public Instagram profile: “Padawan and Ponderer”. So where to begin in my jungle? Why not start with a typical Swedish thing or jump into my sometimes purely judgmental opinions! Join me on my journey, and I hope you’ll enjoy yourself in my life! I sure do! Hi there! I found your blog post when I was trying to track down the name of my favourite store in Bophut – Volver! I was wondering if you had a website or phone number for them? I am trying to contact them regarding a business opportunity here in Australia. I’m happy you’ve found it. It’s a great, great, great shop! I was happy to live so close to it, although my wallet wasn’t. 😉 I’m sad to say I don’t think they have a website, I haven’t found one anyway, and I have no phone number, either. At the moment I’m in Sweden, and won’t be going back until December, otherwise I could help you out, by swinging by. I hope you’ll manage anyway. 🙂 If you want to wait, I could always help you when I get back. Have a nice day!